Keweenaw Heritage Center newsletter for 2018. Keweenaw Heritage Center newsletter for 2017. COME JOIN THE FUN & EXCITMENT at the Keweenaw Heritage Center for the annual craft fair with 20 booths ! Photography, Jewelry, Paintings, Hoilday Cards, Ornaments, Baskets, Wood Crafts, Wall Hangings, Crocheting, Soaps, Lotions, Holiday Decorations, Knitting, Wood Signs, Hand Sewn Bags, Painted Glassware and much much more ! Bring some fancy socks to wear and kick up you feet while being entertained by Jim and Teri Enrietti on July 17th. Tell all your friends...it should be a fun filled evening. The Keweenaw Heritage Center will hold "Longest Day Music" 8 p.m. Wednesday, June 21st. Performers will include Kathleen Arten on organ, Bill Baron on keyboard, O'Donis Person with flute and voice, and Robin Oye on flute. They will play a variety of summer music. The suggested admission is $5, and musicians will accept tips. Refreshments will be provided, and attendees are welcome to view the Center's exhibits. Lots of news from the Feb 20th KHC Board meeting. We are thrilled by the grant from the Americana Foundation. It will allow the implementation of some of the recommendations we were able to obtain through another grant. That one was from the Keweenaw Community Foundation. KHC is so pleased to be able to work proactively. Support from each of the above foundations will help us move ahead and maintain all the things that had to be done to rescue the building. There's also work being done on interpretive planning. Keweenaw National Historical Park is helping with that. One of the interesting points raised at the planning session was that repurposing a building should not be regarded as disrespecting its past. There have been some people who have reacted negatively to the building being used for exhibits and entertainment, telling Board members that they "should remember that this is/was a church and it should be treated like one." We understand that different people have different reactions but sort of wish that people would remember that the building had been repurposed before it became KHC. In 1971, having been deconsecrated five years earlier, it was sold to be used as a junk shop. About 20 years later, it was the setting for a horror movie. So it seems as if the current repurpose as a community center is an improvement. And along that line, it was really good to learn that there have been lots of requests to rent the building. Revenue from rentals will pay for utility bills and minor upkeep. "If we don't use it, we'll lose it" is what we hope everyone understands. Upcoming are a baby shower, graduation party, ethnic group meeting, weddings and receptions, among other events. 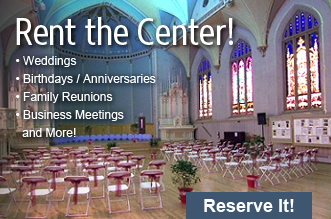 Check out the website calendar and see the rental rates. Maybe this is the place for your next event. Exciting news for the building on the corner of 5th and Scott Streets! The KHC Board has been working on long-range planning for at least the past year. After long years of working on the rescue of the building, this is a welcome change of direction. It's nice to be able to be planning rather than dealing with some crisis in the building. Our hope is that we can direct efforts that will increase the use of the building and therefore assure its long-term survival. So what's the exciting news? Well, last summer, we applied for a grant from the Keweenaw Community Foundation. We are grateful to them for providing funding to get the process rolling. Thanks to the KCF grant, we hired an engineer who has no other connection to the building to give us his suggestions for what projects should be done. His report was received later in the fall. The Board reviewed his recommendations and prioritized with budgets in mind. Calumet Township owns the building and is the fiscal agent. So, our next step was to meet with the Township Supervisor to get his input. There are leaks in the roof again. The next critical thing right now is to replace broken glass blocks in the windows downstairs. Then the priority is to work on tuck pointing�the mortar that holds the sandstone blocks in place needs attention. No doubt some of you are wondering what in the world is exciting about roof repair, glass block replacement and tuck pointing. "Get a life," you may be thinking. Well, to be able to implement the recommendations we got from the Keweenaw Community Foundation grant, we applied to another Foundation. We are very pleased that the Americana Foundation has awarded KHC $25,000 that will be used for glass block repair, tuck pointing and other repairs. We'll keep looking for other funds and will work on matching. Now, that's exciting! As KHC looks to celebrate its 116th birthday, we think that's a pretty nice birthday present! Organists are invited to play and guests to visit the historic organ. Check out the story of this historic building and our renovated kitchen. 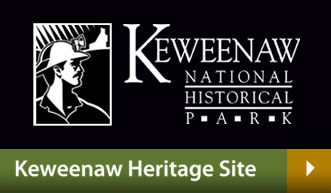 Donations happily received for Keweenaw Heritage Center expenses. The Keweenaw Heritage Center and organists of the Keweenaw present a Hymn Fest on Thursday, September 1, 2016 at 7:00PM. Singers and listeners are particularly invited to join our celebration in this beautiful venue. 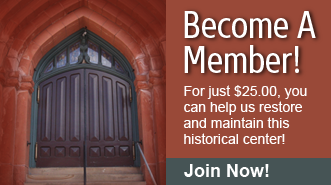 A free will offering for the Keweenaw Heritage Center expenses and organ maintenance. Organ tours and refreshments to follow. These popular Monday night concerts are back! All shows start at 7:00PM in the upper level of the Keweenaw Heritage Center. Donations accepted. Come and join us for a night of great music! Our lecture series this summer is titled "Calumet Strong". All lectures begin at 7:00PM in the lower level of the Keweenaw Heritage Center. Donations are accepted. The 2015 version of our annual newsletter available for viewing as a PDF. Over the last two months, the Keweenaw Heritage Center board sadly lost two of its members. Longtime member Paul Bracco died in September. Paul served as a host during the summer season and was our go to "maintenance" man. Helen Sullivan passed away in November. She also served as a summer host, past secretary and this summer added a permanent display about the stained glass windows at the KHC. Paul and Helen left big shoes to be filled and we will miss both of them greatly for all of their contributions, friendship and dedication over the years. We are asking our members and friends to please consider serving on our board. Even if you don't think you would like to be on the board, if anyone is interested in helping the Keweenaw Heritage Center in any way, please contact one of our current board members or Calumet Township. This fall, the Keweenaw Heritage Center purchased new chairs for both the upstairs and downstairs. The upstairs chairs are both padded and fold for easy moving. The new chairs on the lower level are also padded but do not fold. We invite you to attend an event to try them out. Pictures soon. The Keweenaw Heritage Center is proud to announce the completion of our new kitchen. Located at the back of the lower level, it is easily accessible from the Temple Street lift. We have all new appliances, plenty of counter and cabinet space to meet all of your needs. We hope you will consider using this great new asset to our facility. Pictures coming soon. The 2014 version of our annual newsletter available for viewing as a PDF.